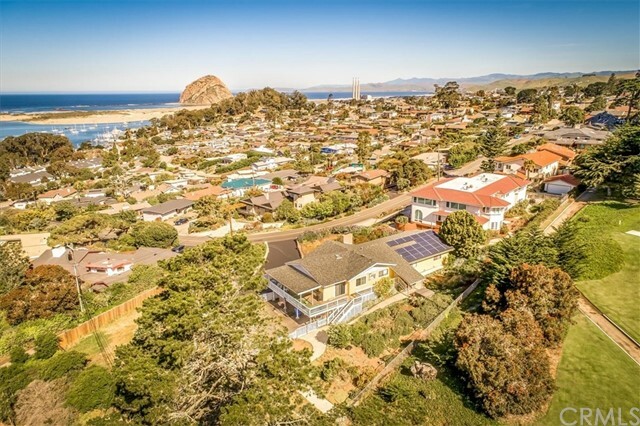 All Morro Bay homes currently listed for sale in Morro Bay as of 04/24/2019 are shown below. You can change the search criteria at any time by pressing the 'Change Search' button below. "Spectacular beach front home on almost 1/2 an acre. This gorgeous and well kept home features an open floor plan with ocean views from almost every window and from the wrap around patio. Designed by Colorado architect James Strueber this home features many beautifully crafted details such as curved railings and solid wood built-in cabinets, high tongue and groove ceilings, and an abundance windows. The entire home is filled with light due to the south/west orientation, windows and skylights. The"
"Magnificent Beach Front Home! Smell the fresh ocean air and listen to the waves as they roll in and out. Located in The Cloisters - Three Bedroom, Two Bath Home with a Two Car Garage, built in 2001. Cherry Wood Cabinetry throughout the home. Newer carpet with beautiful wood floors. Gourmet Kitchen with Distinctive Black Granite Counter Tops and Cherry Wood Cabinets. Sub-Zero Refrigeration, Double Ovens with Warming Drawer. Surround Sound Inside and Out, great for entertaining. 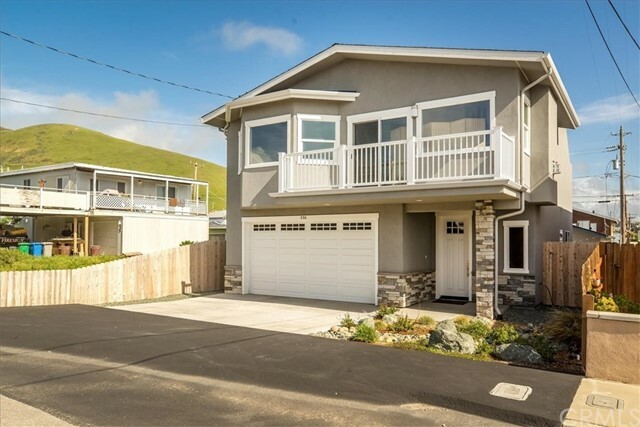 Gas fireplace grea"
"Incredibly well built 2 year old 4 bedrooms, 2 1/2 baths Morro Heights home with VIEWS of Morro Rock, the Ocean, Bay hills to the north. Abbey Hardwood Maple flooring throughout with Quiet Walk sub flooring. The kitchen and bathrooms have Italian Travertine flooring and bath showers are tiled in Travertine. The kitchen and bathrooms feature custom designed and built cabinets all pre-finished paint and stain, soft close drawers with Reamed Glass doors. The kitchen also features a Viking 6 burner "
"This beautiful 4 Bedroom, 3 bath home has amazing views from almost every room. It is immaculate. You enter and either take the built in elevator or the stairs to the 2nd and 3rd floors. There are 2 bedrooms on the 2nd floor plus a bonus room that is plummed for washer and dryer, has a fridge and private entrance. It can possibly be used as a studio, game room or Man cave. 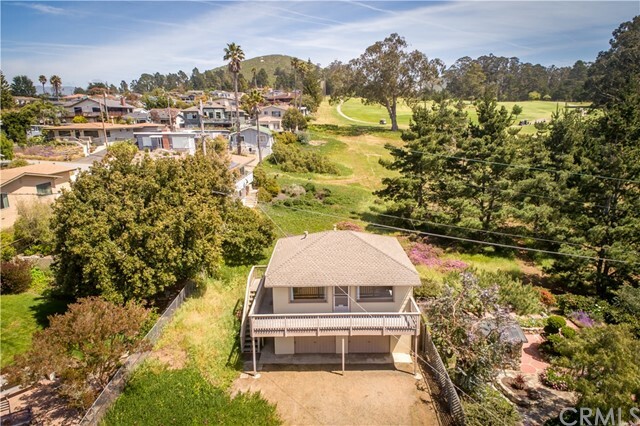 Walk up to the 3rd floor and you will find a large living room with endless views of the rock, and the whole coastline up to"
"Panoramic ocean and rock views from almost every room on this rare half acre lot boarding the gorgeous Morro Bay Golf Course. Single level living is provided in this Morro Heights home with approx. 2400 sq/ft offering 3 bedrooms, 3 bathrooms living and dining area, and family room with lots of storage throughout. Newer stainless steel fridge and double ovens add to the spacious kitchen open to the living room with vaulted ceilings and large picture windows to take in the magnificent views! 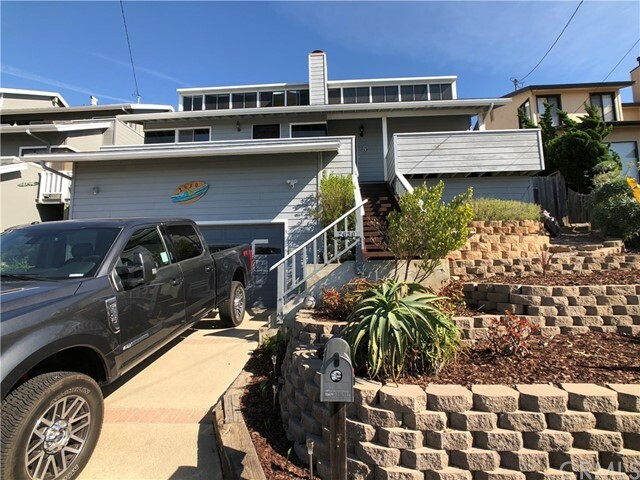 The d"
"Easy living on a quiet street near the top of the hill offering panoramic whitewater ocean views from Baywood Park & Morro Rock to Cayucos! 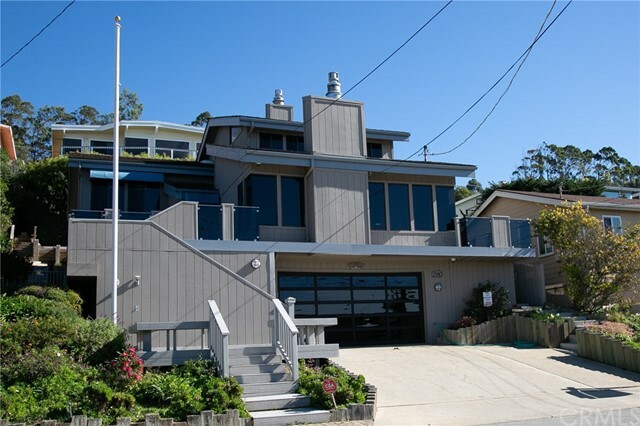 Enjoy coastline views from either one of two front patios, living room, dining room/kitchen, master bedroom and spare bedroom both with enclosed porch! Living room features vaulted wood ceiling, fireplace and access to front patio. Generous kitchen open to dining room with peninsula bar and large pantry/laundry room. Master bedroom also with vaulted wood cei"
"A cottage nest with an incredible ocean view, which is everything but new. The one-level, open style layout will ensure your life has plenty of free space and natural light to spark your next brilliant idea. The top quality materials used in remodelling this unique masterpiece, maintain the original character and charm which have withstood the test of time and change. After a hot sauna or bath in the tea house, enjoy views of Morro rock along with your morning coffee and fresh fruit picked from "
"Full views of Morro Rock and Estero Bay. Two seamless corner windows that feature the views. Custom lead glass design transom windows in main living areas. Beautiful custom designed home with open floor plan perfect for entertaining inside and and out. 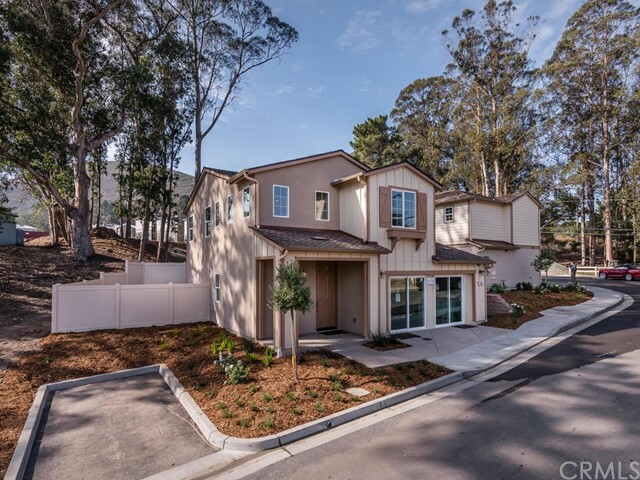 All main living spaces include full panoramic views of Morro Rock and Estero Bay. Just steps away from hiking and several blocks to Morro Bay's Embarcadero for bayside dining, wine tasting or Kayak along side the resident otters and sea lions. 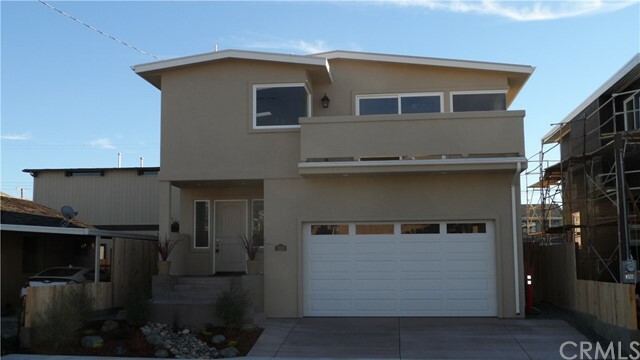 At "
"Live in the Cloisters and enjoy Morro Bay beach living at its best. This three bedroom two bath single level home is located on an oversized lot close to the park and public paths with easy beach access. 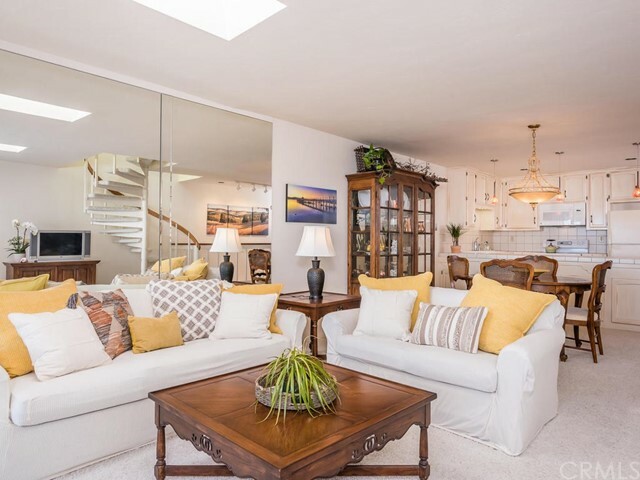 Very open floor plan makes it ideal for a family or entertaining. Some of the custom features include oak wood floors, custom wood shutters, wood burning fireplace, skylights and vaulted ceilings. Easy access to the multiple outside dining areas for outdoor enjoyment. 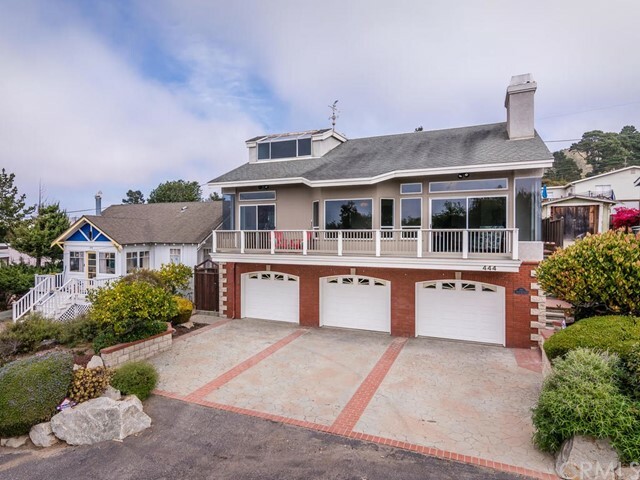 Large master bedroom suite "
"Sweeping Coastline and Rock views are forever yours from this updated contemporary home located in a desirable location. With 5 bedrooms, a den, 3 baths and a finished storage area, this home has room for the entire family. All but one room has a view. Mitered corner windows provide panoramic views to the North and South while sitting in front of a cozy fireplace. The vaulted, beamed ceilings add to the overall openness of the kitchen, dining and living area. 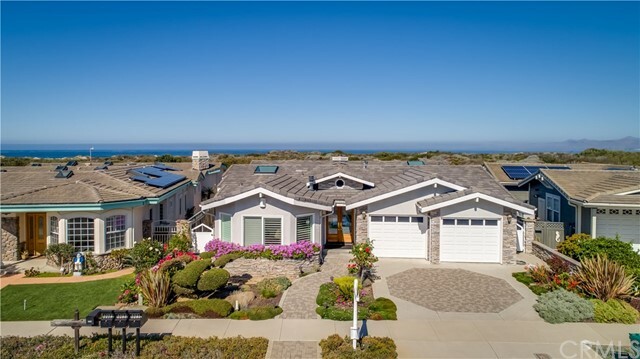 The remodeled kitchen includes grani"
"Enjoy watching the whales and waves from your roof top deck, with panoramic ocean views from Morro Rock to Cayucos. When you are not entertaining guests on your private roof deck, relax in the airy, open concept kitchen, dining, and living space. The second story includes vaulted ceilings and a large balcony with white water ocean views. This stunning, turn-key, three bedroom and two and a half bath, 1,743 Square Foot custom home features hardwood floors, quartz counter-tops, stainless steel app"
"Barefoot at the Beach within minutes! Step outside the front door and see a direct route for miles of beachcombing, surfing, bird watching and fishing. One of the premier neighborhoods for beach oriented families, retirees or vacation homes. This single level 3 bedroom 2 bath home sits on a 5000 sqft. corner lot with: breakfast bar, laminate flooring, skylights, RV parking, enclosed bonus/sun room, back yard fun with plenty of room to store all your beach gear! Spend your time at the beach, near"
"This is the MODEL HOME with many beautiful options and upgrades. We will need to utilize the model for a few more months and will lease it back at $4,450 per month. Please phone for details.This is one of 16 new homes located in a private enclave within a sunny microclimate right off Highway One. Move-in time is just 30 days after the new owner customizes to their liking with their choice of kitchen and bathroom countertops, backsplash and flooring. 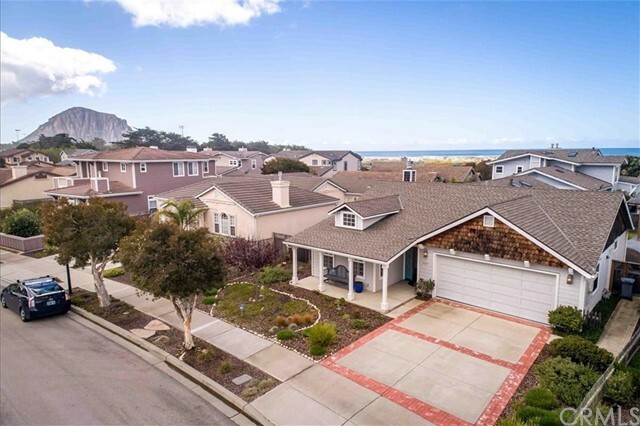 This home is on a cul de sac and has a command"
"Views of the Bay, Morro Rock and the beautiful Pacific Ocean! This lovely 3 bedroom, two bath just under 1,400 square foot home features awesome views. Home has been completely remodeled. Dual pane windows. Fresh paint inside and out. Oak kitchen cabinets with lots of storage, soft close drawers and doors, and beautiful Quartz stone countertops. Built in dishwasher and kitchen features a gourmet Samsung five burner stove. Open beam cathedral ceilings and gas fireplace insert. 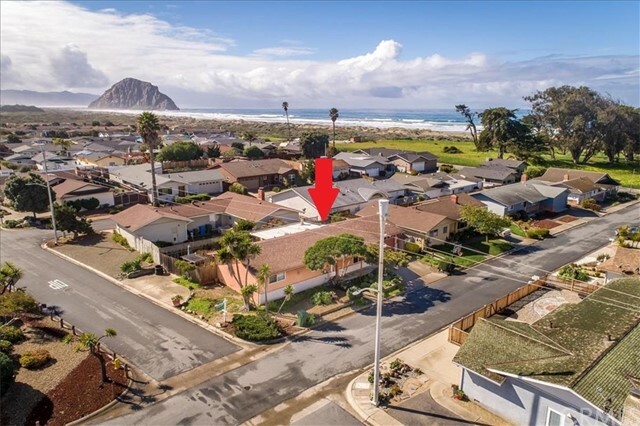 A short distance to"
"Top of the hill location in the Heights of Morro Bay with panoramic views from all 4 sides. 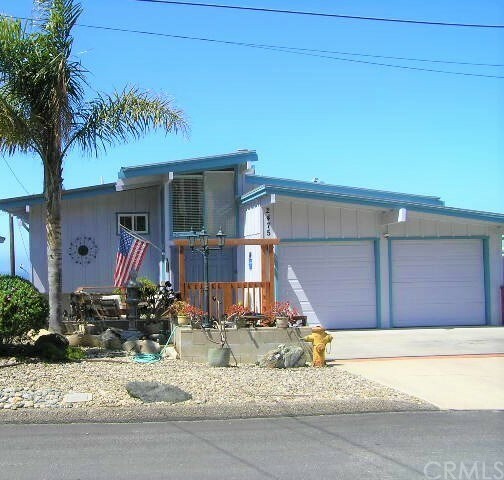 Small 1952 cottage style home situated on the very back of the lot that backs up to Morro Bay golf course. Backyard view is a stunning view of the 6th hole at Morro Bay golf course. Spacious 7892 sf lot with room for another residence on the front of the property. Have you been dreaming of building a forever view home? Beautiful views all around? Have a granny unit or rental cottage on your property? 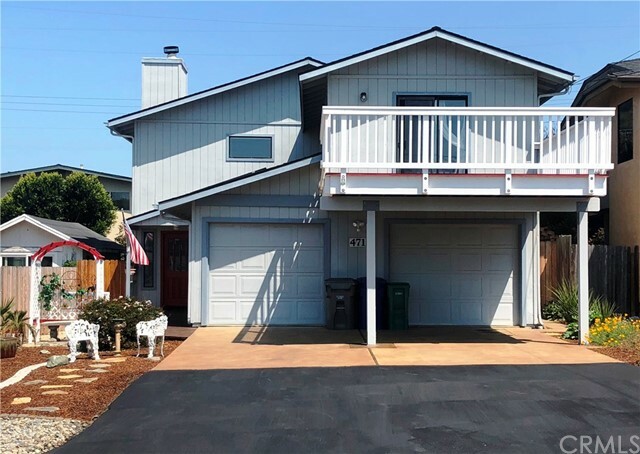 This"
"Enjoy outstanding views of the Pacific Ocean, Morro Rock and the community to the south from this hard-to-find End Unit at Zanzibar Terrace. 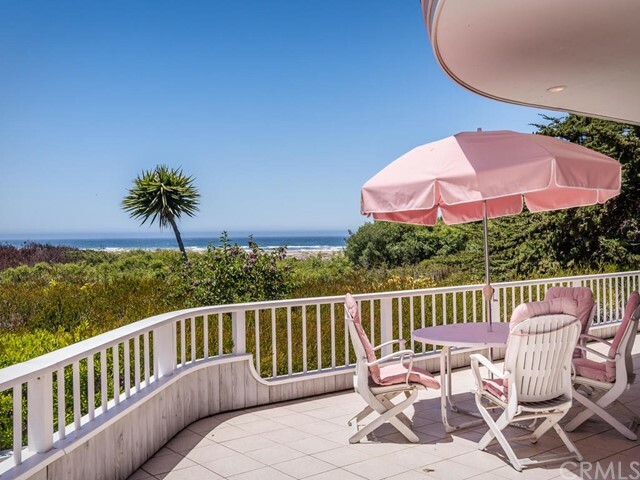 With 3 bedrooms and 2 baths, this 1968sf condominium features 5 side windows that enhance the amazing white-water and city views and allows for nice cross-ventilation in several rooms. The kitchen, living and dining areas are open and bright with high ceilings and dual skylights. 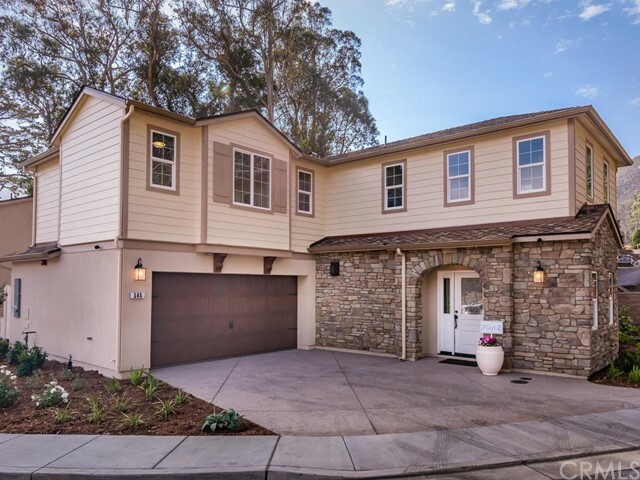 The updated kitchen with granite counters features a gas cooktop with electric"
"This is one of 16 new homes located in a private enclave within a sunny microclimate right off Highway One. Move-in time is just 30 days after the new owner customizes to their liking with their choice of kitchen and bathroom countertops, backsplash and flooring. 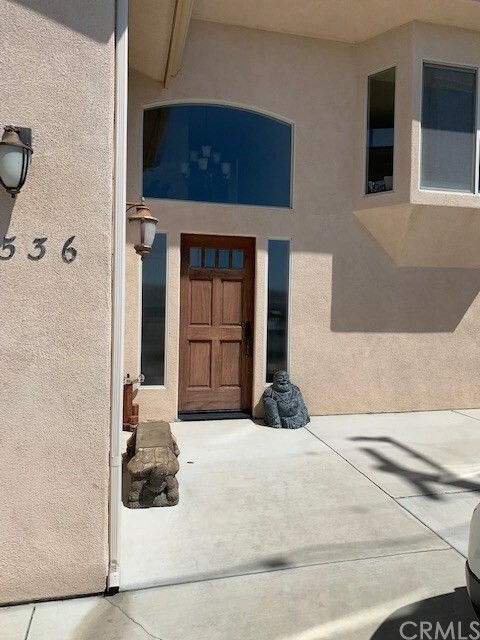 This home is on a cul de sac and has a commanding view of Hollister Peak and Chorro Valley Park and is adjacent to Black Hill State Park. It is less than 10 minutes to Cuesta College and five minutes to the Harbor. This is a Plan II and"
"Enjoy this unobstructed ocean view condo close to North Beach. 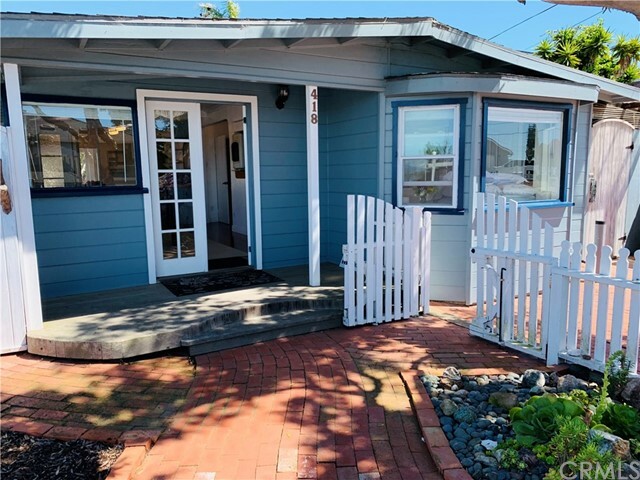 With approximately 1968sf, this 3 bedroom and 2 bath home has been nicely updated and features hardwood floors in the entry, hallway and up the stairs. The kitchen is open and was updated years ago with tiled counters, glazed cabinetry, pendant lighting and an eating bar. 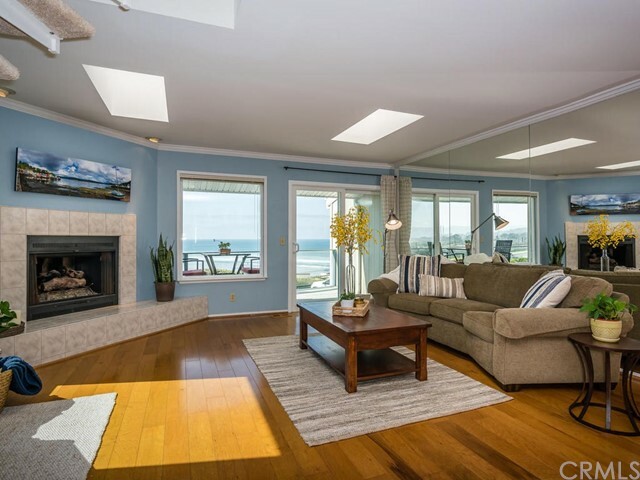 The spacious and bright living area features high ceilings, 2 skylights, a fireplace and slider door that leads to an ocean view deck. Watch the ongoing beach activ"
"$50,000 solar panels are PAID IN FULL! No more electric bills! Morro Rock, ocean and bay view! 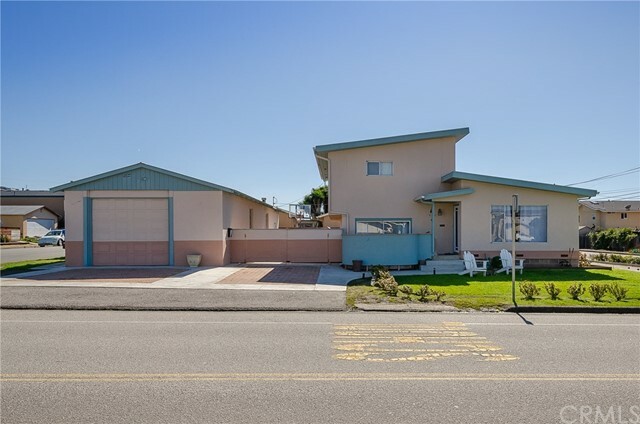 Close proximity to local schools, shopping, and the beautiful beach! Plenty of room in this two story home. Many upgrades including a new upper viewing deck/carport. The master suite, kitchen and huge family room are all on the upper level. Downstairs are three bedrooms a full bathroom. 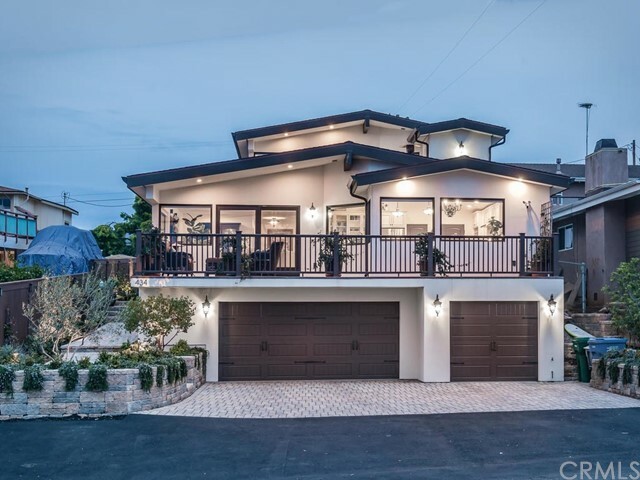 The downstairs of the home is a private, separate living space that has been rented out providing income for the owne"
"This is one of 16 new homes located in a private enclave within a sunny microclimate right off Highway One. Move-In time is just 30 days after the new owner customizes to their liking with their choice of kitchen and bathroom countertops, backsplash and flooring. This home is adjacent to Black Hill State Park with its many hiking trails and valley views. 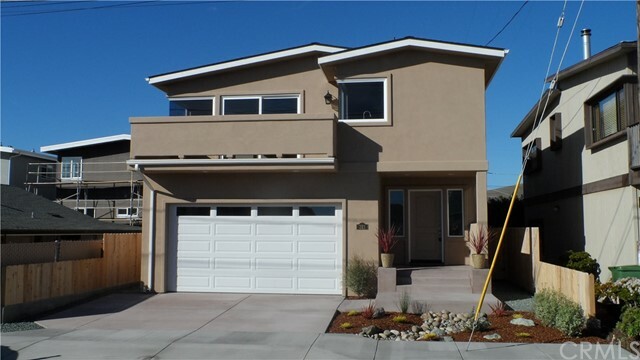 Located less than 10 minutes to Cuesta College and five minutes to the harbor. Built to high standards with a myriad of energy-efficient featur"